Yes, it’s yet another “where does the time go?” entry from me today. Since getting back from Minsk and getting and then getting over a sinus infection thingy, I’ve been doing the usual things: working, nail blogging, reading, a bit of knitting. 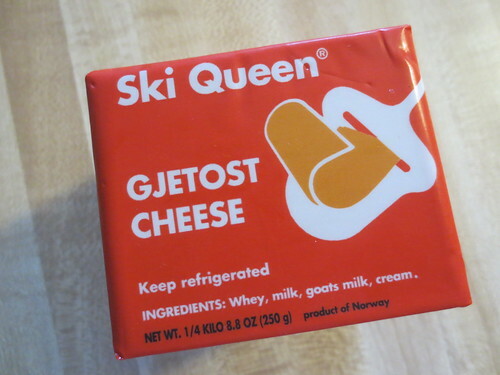 It’s a testament to how routine my life has been these last few weeks that one of the high points was finding that my grocery had added Ski Queen cheese to the products they stock. I’ve been looking for this both here and in Idaho since someone brought it to a family reunion several years ago, and now finally it was mine. I’m already concerned that it won’t be around long, as the week after I bought this block, the display looked just like I had left it, one package missing. I suppose they could have restocked and someone else had bought a block before I got there that week. Let’s choose to believe that for now. 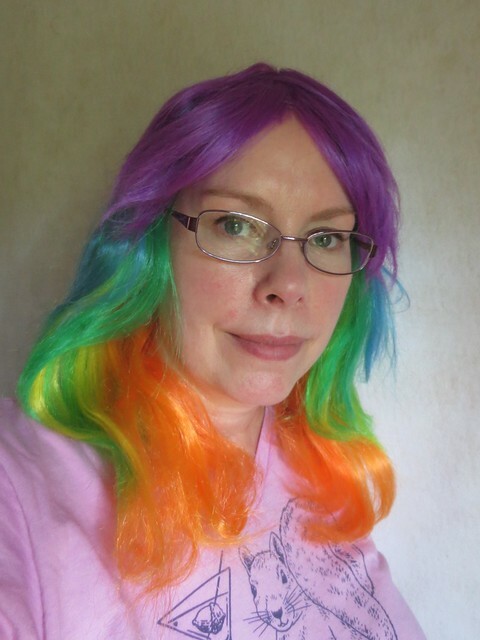 I got a head start on Halloween by buying a rainbow wig. Catching glimpses of myself in mirrors as I wore it around the house made me smile. I just wish I knew what color eyebrows go with this look. 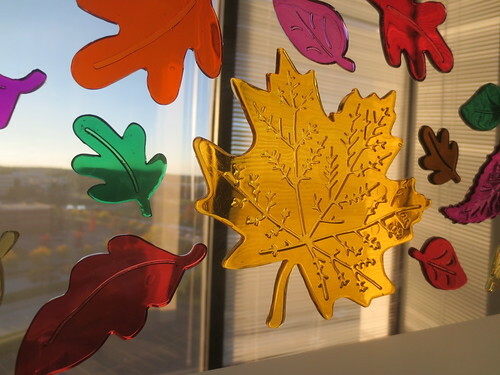 I welcomed the fall season with an update to the decor on the glass wall in front of my desk at work. I’ve been enjoying, as I do every year, the trees changing from green to orange and red and yellow. 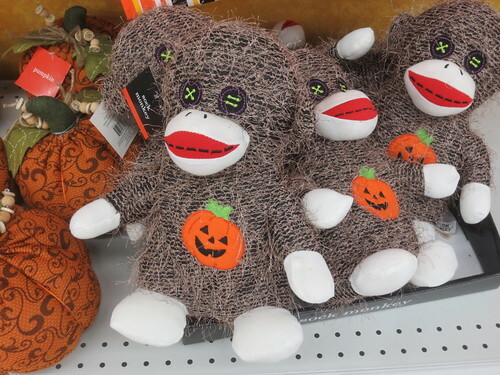 I have not added to my sock monkey collection but do still stop to evaluate any new ones I see in stores, like this Halloween model I spotted at Meijer. I’m not sure what’s going on with this shaggy monkey: is he trying to be a Wookie? Suffering from a skin condition? 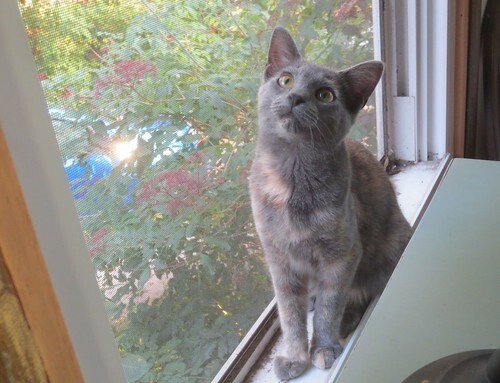 I went to Illinois last weekend and met my mom’s kitten, Shirley, who is about five months old according to the vet who saw and spayed her after my mom and nephew coaxed this stray inside. My brother was also visiting, so we got to spend a little time together, too. Then I went up the tollroad to meet up with Mr. Karen, who’d come separately to Illinois with his sister to spend time with their folks. And now it is Friday night, and I am looking forward to a routine weekend at home, trying to catch up on sleep and laundry and grocery shopping and maybe get some exercise and have some fun along the way.